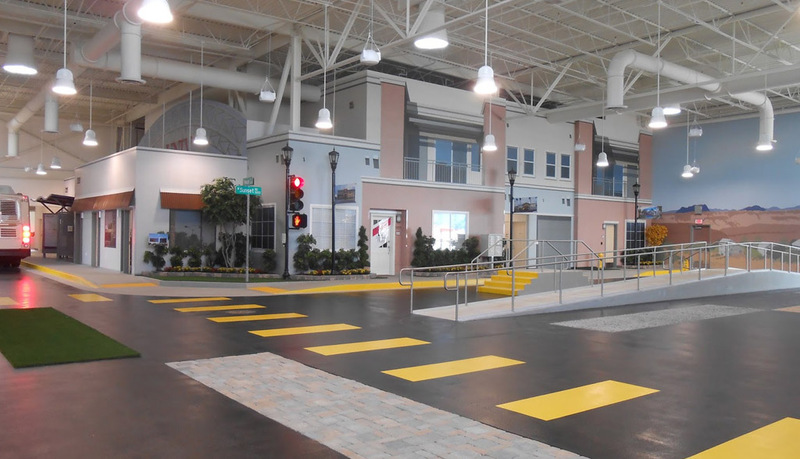 Design, art directions, and art creation for over 9,800 SF of interior murals and streetscape made from printed wallpaper and 3D architectural elements. Actual building photos were used and manipulated to create 25-foot high building murals, mimicking a city street and simulating views a transit rider would see across the Las Vegas valley to the west, north, and east. 3D elements such as awnings completed the effect. The commercial section consisted of recombined imagery to fit actual room openings. 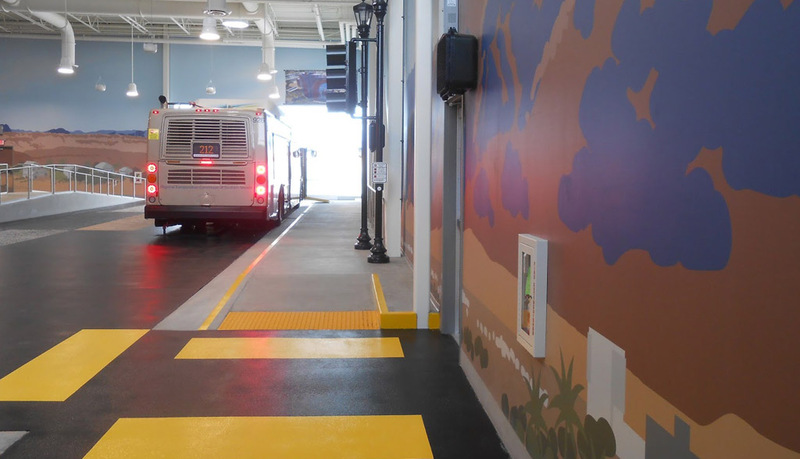 Along the interior perimeter of the facility are vector, full-color murals of the Las Vegas Strip and the mountains oriented to cardinal directions.